Rat Fink Shop Stool RA292, Ed Roth Rat Fink Logo Garage Bar Stool - California Car Cover Co. 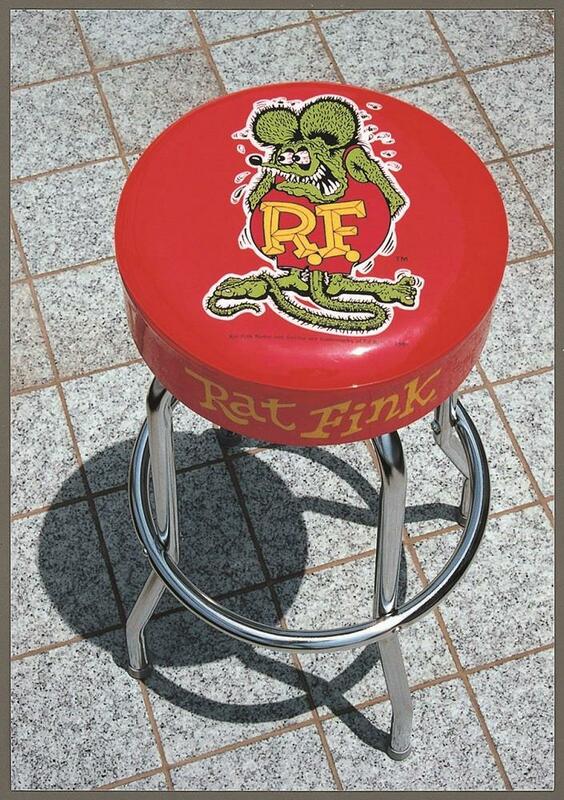 The Rat Fink Shop Stool has a 4" thick x 14" wide padded swiveling seat and stands 30" high. 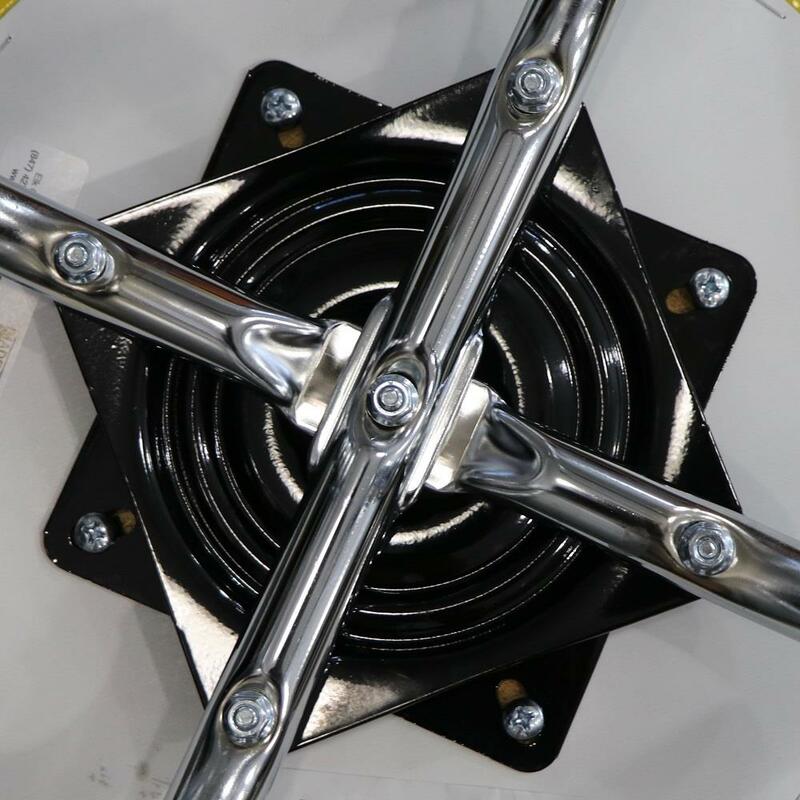 The heavy-duty chrome plated legs are good looking and sturdy. 250 pound weight capacity.